This application allows you to send PDF files, PowerPoint files, and images saved onto an iOS or Android device (tablets and smartphones) to a Panasonic wireless projector over a wireless LAN (Wi-Fi), and project them. 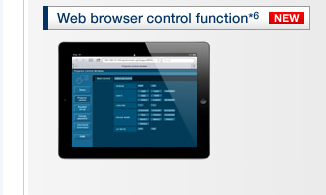 You can also project web pages with the built-in web browser, and photos taken with the built-in camera on your device. In addition, the application also allows you to rotate the screen, enlarge or reduce the screen with a pinch operation, and flip through pages with a ‘flick’ operation. Compatible projectors include: PT-VW435N/VX505N/VX400NT/DZ570 series/FW430 series. 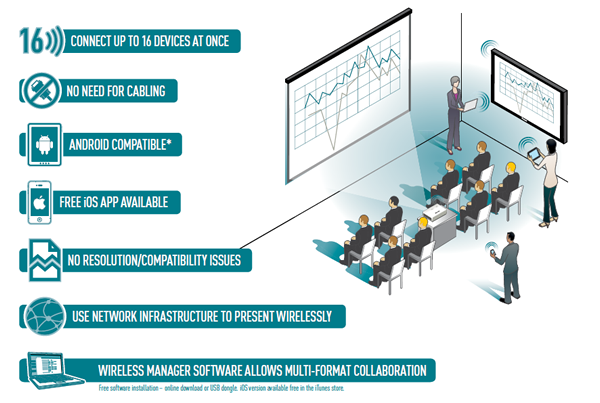 The PT-DZ570 and PT-FW430 series projectors require the ET-WM200 wireless module. 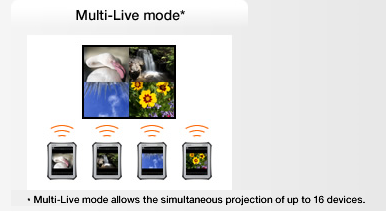 Multi-Live mode makes it possible for several people to project images from their Android and iPad devices simultaneously, making it perfect for group sessions requiring input from multiple participants using multiple devices. This mode offers 4-screen multi style, 4-screen index style, and 16-screen index style displays. It also enables switching of the live style and projection positions. 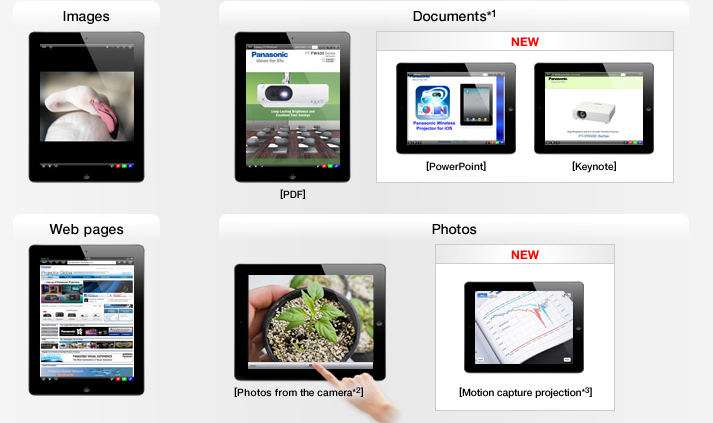 4-screen index style and 16-screen index style can be switched by using the projector menu. This exciting feature allows you to send screenshots wirelessly to a Panasonic projector from an Android device, using a preset command. It is especially useful for instant sharing of information during a meeting. The projector can be controlled via web browser control. 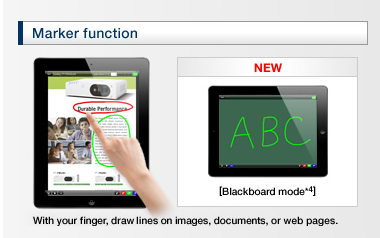 Also, an advanced menu for web browser control allows confirmation of the projector status (lamp usage, etc.). Watch the movies below for a full presentation of the application features and a guide to connecting your projector.